German-Arab students praise Hitler to Jewish classmate who spoke against Palestinian state. A Berlin school principal condemned the actions of a student who praised Adolf Hitler for having murdered Jews. The incident, which comes amid other reports of anti-Semitism in Germany, including by a man outside a Jewish-owned restaurant in Berlin, reportedly occurred during a lunch break on Dec. 13, when teenagers were discussing Israel. New measures would be taken to ensure that such incidents not be swept under the rug, Huth said, including counseling for victims, investigation of legal options and training for teachers. Huth said his school “would not tolerate any form of discrimination, against anyone. … Our mission statement commits us to promoting a tolerant and respectful” environment. Before speaking to journalists, the Jewish student — who has attended the school for two years — reported the incident to the principal, who said he would protect the student, according to the Jewish newspaper. Even before the incident, the boy reportedly was avoiding spending his recess hours in the schoolyard out of fear of being attacked. 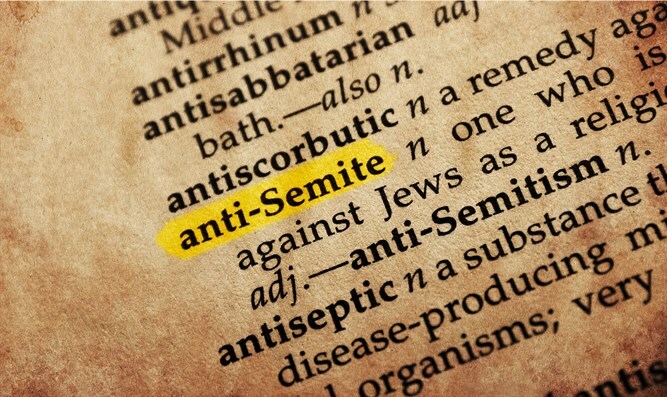 The problem of anti-Semitism in schools has been long on the public radar. Last spring, parents of another Jewish student removed him from a different public school after he was subjected to months of anti-Semitic harassment by classmates. The case drew massive public attention to the phenomenon. In the recent incident, the Jewish student told the Jewish weekly that he had to deal with hostility since day one. He said that he “tries to remain calm, to smile and to present facts.” But he said he couldn’t let the Hitler remark go, since it was heard loud and clear. Berlin’s educational authority told the German news media that the classmates said they realized immediately that their words were hurtful and apologized. The authority has activated its commissioner for anti-discrimination in schools to assist in responding to the incident.